Your pressure washing job is important to us and we take every job very seriously. We use the exact amount of pressure necessary when we power wash your surfaces according to industry standards. How do we do this? By testing the surface strength of the area to be cleaned before we start, and using just the right amount of pressure to get the job done without damaging your surfaces. If your job requires the use of any chemicals, we only use only the best biodegradable chemicals that are non-hazardous to the environment, and will not harm your plants, trees or grass. Our loyal customers are the heart of our business and we are dedicated to doing what it takes to have you become one of our loyal customers. ​Enough about us, let’s talk about you. You’ve got a driveway that looks bad or you’ve got mold all over one side of the house and you just don’t like the way it looks when you drive up. Or the roof looks old because of the sap that keeps dripping out of the trees above your house. I get it, I’m a perfectionist too. I love a clean car and if I get the time I’m out there scrubbing away at it. Clean is like an obsession to me. ​Hey my team and I have been in the mobile pressure washing business since 2007, doing the work to make your life easier, because we want your house to be top dog. The best of the best in the neighborhood, why settle for less? Our Goal is: When the great people of your neighborhood think of a clean house, your name automatically comes up. Hey your home is important to you, and it’s important to us too. It’s something you share with friends and family on special occasions. When something's not right about your home, you want to get the problem solved fast. 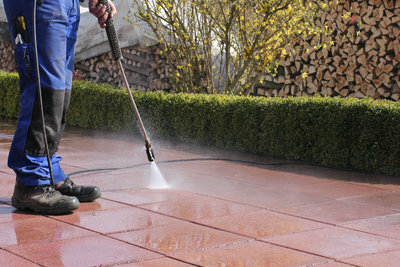 ​ Jax Best Pressure Washing​ we set the highest standards for everything we do for our customers. We take care of the tough jobs, from mobile power washing, driveway cleaning, roof cleaning, gutter cleaning and maintenance, to essential concrete sealing. The north Florida area can be very moist and sticky to say the least and if you’ve been here for any length of time you know there’s no avoiding the humidity and the things that come with it. Like that good ol' black mold and mildew that seems to just grow anywhere. Making sure your home is clean and mildew free so it looks awesome, and is safe for your family is what we do. For great service at an affordable price in the Jacksonville? What a concept! Get your pressure washing prices today! Call Now! ​A clean roof just brightens up the whole house and has the effect of making your house look new again. "The Wow Factor" is what that neighbor sees as they drive down the street and look at your stunning home. 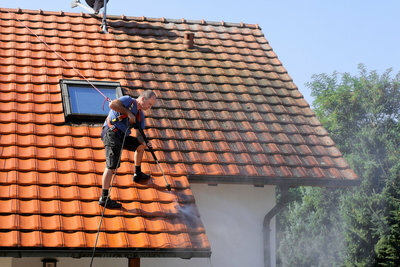 When doing roof cleaning we take into consideration that some roofs can take the pressure and some can't. We use low pressure on the delicate roofs called a soft wash so we don't damage the roof's surface. When doing ceramic roof cleaning for example we can use higher pressure because ceramic is a tougher roof than a normal shingle roof. We also use chemicals that help loosen up the stubborn gunk that's on your roof so we don't have to use so much pressure when washing the roof. We only use chemicals that are biodegradable and non-hazardous to the environment and won't harm your plants, trees and lawn. We will even clean the Fascia and Soffit. The fascia is the trim board that covers the eaves at the rafter end and is found behind the gutter and eaves. The soffit most often refers to the material forming a ceiling from the top of an exterior house wall to the outer edge of the roof. The getting these parts pressure washed is very important as they provide the vents that allow your roof to breathe and protect the rafters from being exposed to the elements. That is why we specialize in the care and cleaning for this part of the roof as well as the roof cleaning itself. Even with all these layers on a roof neglect one and let them get damaged and layer by layer the rest will get damaged as well. Check our roof page to read more about all of the components on a roof because knowing how something works will help you understand the importance of proper maintenance to keep it all working the way it should for many years to come. Get your roof cleaning prices today! Call now! ​If you are in the Jacksonville Florida area and need Concrete and Masonry cleaning and sealing than Jax Best Pressure Washing is ready to clean and seal all types of concrete, brick, stone, slate, garage and basement floors, or swimming pool surrounds. We work hard to get all concrete and masonry surfaces as close to new as possible and then help you maintain it with sealer. Sealer keeps concrete cleaner, discourages mold growth, and protects from water erosion, physical and chemical erosion, foot traffic erosion and other damage. For a fresh, new look after cleaning, Jax Best Pressure Washing in Jacksonville, Florida use a manufacturer that is based locally. The manufacturer we us only sells a top of the line sealer that is also a green product much like we use when pressure washing. Our sealer manufacturer stands behind every product they sell. Did we mention that all they sell are sealers so they know exactly what is needed for all of your concrete and masonry sealer needs, much like Jax Best Pressure Washing knows exactly how much pressure and what biodegradable chemicals are need to get those same concrete and masonry surfaces sparkling clean. 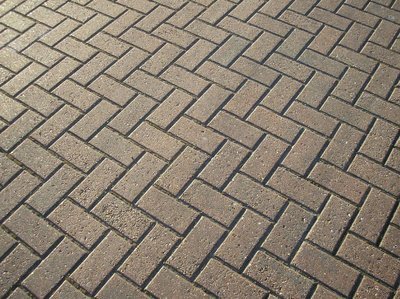 Once your concrete and masonry has been cleaned it is time to select the sealer. You can choose from Semi-gloss, Gloss, or High gloss. High gloss is also known as the wet look. The gloss is both beautiful and functional. Our concrete sealer works on any kind of concrete, masonry, pavers, stone, slate, garage and basement floors, and even swimming pool surrounds including tile. Call or fill in the form on this page today. We will give you prices to power wash your concrete and masonry as well as costs to have those same surfaces professionally sealed. If you live in the Jacksonville, Florida area know that we pride ourselves as being the best you will find for concrete and masonry sealing. Get your concrete sealing prices today! Call Now! 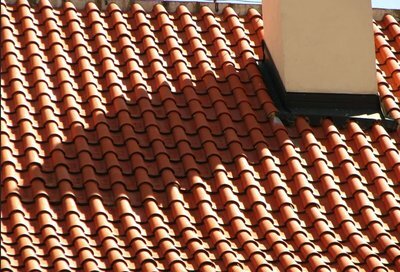 ​At Jax Best Pressure Washing, gutter cleaning is one of our specialties as well as fixing and repairing gutters. We work on any type of gutter system you may have. 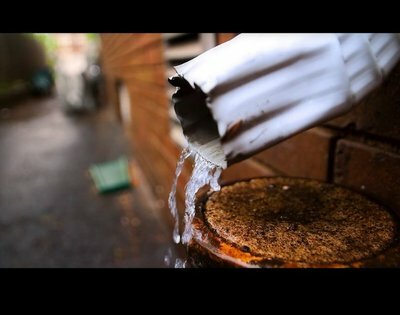 If you have clogged up gutters and downspouts and you find that your gutters need repair in the Jacksonville, Florida area give us a call for fast reliable service. Clogged gutters can affect your roof, the fascia, the siding, and even your foundation. The more backed up the gutters are allowed to become the more likely your gutter is to crack or pull away from your home. We have the best gutter guys in the business to get the leaves, mud, pine needles and any other junk that's in there out. As well as the top of the line gutter repair guy in Jacksonville. Stagnant water, leaves, and high humidity makes the inside of your gutters the perfect place for nasty things such as mold, fungi, and bacteria. We have also seen many creatures thriving inside rain gutters such as spiders, snakes, mosquitos, roaches, that no one wants to see coming out of their gutter system and moving into the home itself. If you are one of the cool people living in the Jacksonville, Florida area contact Jax Best Pressure Washing today and get your gutter repair estimates and prices or gutter cleaning prices. When it comes to gutter repair and maintenance as well as gutter clean out, our experience shows in every job we do. We are also fully licensed and insured. Get your gutter cleaning prices today! Call Now! What Are You Still Waiting For? Call Now! For the best roof cleaning we do have soft wash available for roofs that can be damaged by pressure washing. 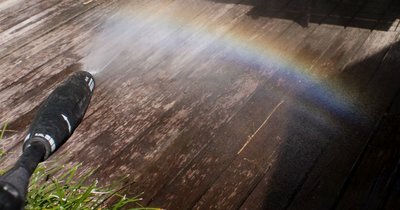 ​We use the safest and most up to date techniques in all our pressure washing services to make sure the job is done right the first time. Some people ask me about Pressure washing vs. power washing, Soft washing and there's a big difference. Call for the details!